The more astute readers will notice that its been over a month since I posted anything. Clearly the blogging apathy has hit, which any blogger will recognise as something which happens once the lustre of your shiny new blog begins to dull. But there are more sinister forces at work. 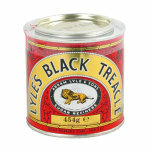 I fear I may have been infected by the Philippines Treacle Syndrome.